It’s been 25 years since Temple Of The Dog was initially ignored by record-store consumers. (Once the band’s label realized it had an unofficial Soundgarden/Pearl Jam mash-up on its hands, though, marketing and sales picked up.) To commemorate the anniversary, the band has announced that it’s reissuing the album, and reuniting to go on the tour it never had in its original life. “This is something no one has ever seen,” Cornell wrote in a press release, a statement that’s probably true for anybody who wasn’t hanging out in Seattle rock clubs in November or December of 1990. Temple Of The Dog has reunited briefly a few times before, usually in the form of Cornell dropping by a Pearl Jam show to sit in on a couple of songs, but never for an actual tour. 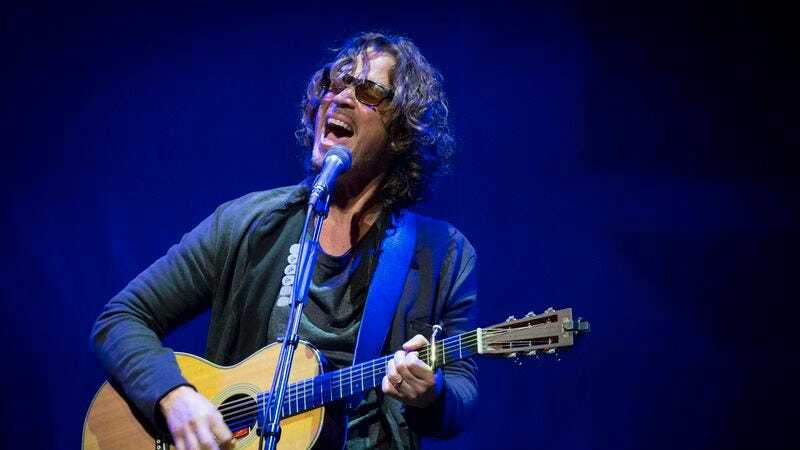 Proceeds from the tickets for the shows—which will start in Philadelphia and New York before heading to the West Coast and finishing in Seattle—will go toward The Chris And Vicky Cornell Foundation and Pearl Jam’s ominously named Vitalogy Foundation, which provide funds to at-risk kids and community health initiatives, respectively.